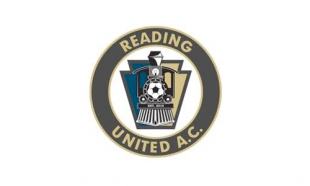 Reading United have a quick turnaround after losing 2-1 against Rochester Rhinos in U.S. Open Cup play on Wednesday as they host Brooklyn’s FA Euro in PDL play on Saturday, May 31. Game time at Gurski Stadium is set for 7:00 p.m. Currently, Reading sits atop the USL-PDL Mid-Atlantic Division tied with Jersey Express with seven points, while FA Euro are in fifth place with three points. Darius Madison leads the potent Reading attack with five goals and three assists in all contests. In Reading’s last home match against Baltimore Bohemians, Madison’s brace led the hosts to a 3-0 win. In addition to Madison, Oumar Ballo and Nicholas Surkamp have contributed goals to Reading’s offense. Between a tight back line and stellar play from goalkeeper Alex Bono, Reading have only given up three goals in three league games. They look to continue their strong defensive effort against a FA Euro squad that has only scored twice this season after two games. Both goals came in their last match, a 2-1 win over Baltimore Bohemians. Reading will look to not repeat last season’s home performance against FA Euro. After going up 3-0, including the opening 60th minute goal from Madison, Reading conceded goals in the 89th minute and in stoppage time but held on for the 3-2 win. Saturday’s game will be Reading’s last home game until June 20, when they host arch rivals Ocean City Nor’easters.